Renowned for their reputation of being hard-working, dependent hair care tools, Sedu's range of flat irons and hair dryers won't let you down. 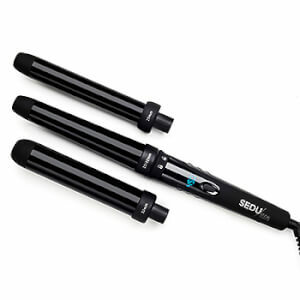 The best-selling Sedu Revolution 1½" Styling Iron has a wide 1½" ceramic plate, perfect for longer, thicker or coarser hair and is covered with black tourmaline gemstones to easily glide through your hair. This styling iron also features an adjustable temperature control, ranging from 140ºF to 450ºF, to provide the optimal styling temperature for all hair types. We love the ultra-lightweight Sedu Revolution Lite Professional Hair Dryer; the device utilises 1250-1600W of power, which dries hair quickly and efficiently, in order to reduce styling time.